From Suceava County, Romania. "In 2014 I was traveling with my girlfriend, Irina Stoenescu throughout her native country of Romania searching the back roads and farms and markets for special finds. For me it was perfect, Irina was kind enough to take all of my enthusiasm and also do all of the translating. In the northern town of Suceava, we came across this beautiful old landrace. 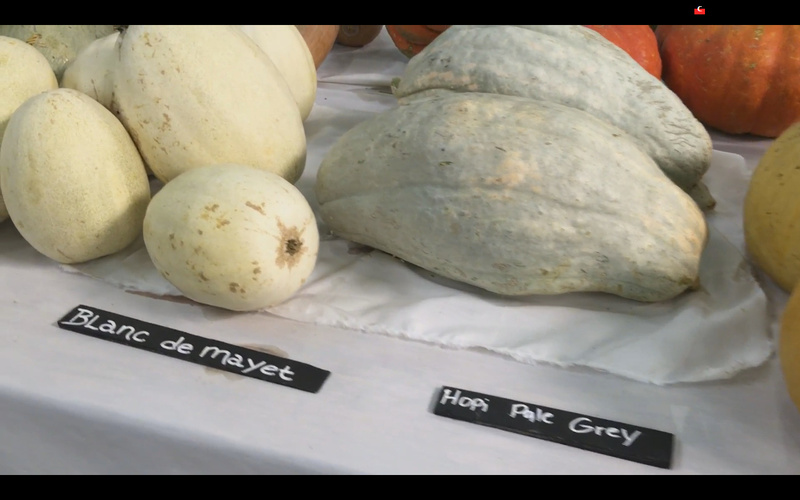 It must be noted that in Romania, the countryfolk don�t necessarily get involved in naming their vegetable varieties, so inevitably there were many humorous moments. 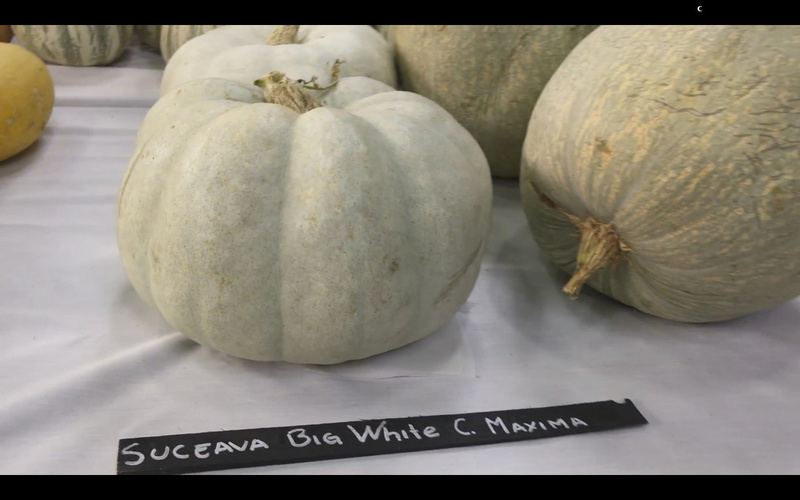 My so called �Suceava Big White� is one of them. When Irina asked what it was called the old farmer looked at her like she was an idiot..? Even though I could not understand him, he seemed to say; � What? You don�t know what this is?... 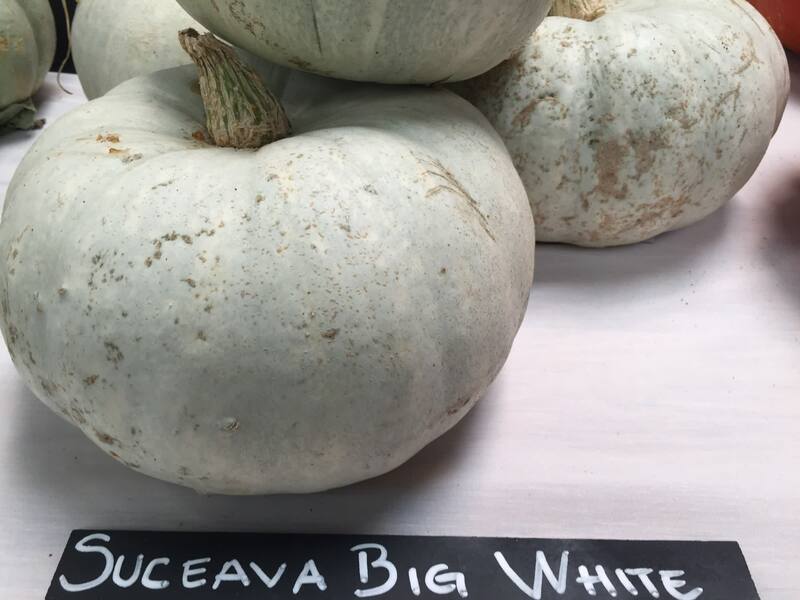 it�s a pumpkin!� Actually she persisted, �Yes, of course I know what it is, but what do you call it?� The farmer shouted out (the equivalent) of �It�s a pumpkin!� So, you see on our side a little creative genius is needed, hence the aptly named � Suceava Big White� a squash/pumpkin� that needed a name. Fruits get to about 15 pounds judging from the farmer�s selection, they are Beautiful deep orange fleshed. 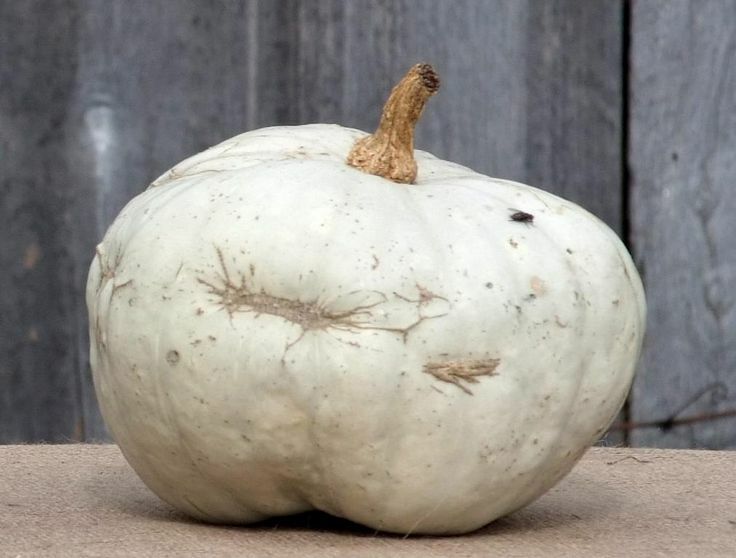 Judging from the sounds of it, the fruits take About 100 days, they should thrive anywhere that hubbard types do well."